The Bold Is Beautiful project is Benefit's latest endeavour (remember Brow March) to raise money for women and girls. Throughout the month of May Benefit will donate 100% of the profits from brow waxes to two very worthwhile charities - Refuge, empowering women and children who experience domestic violence and Look Good Feel Better, helping women and teenagers with the visible side-effects of cancer treatment. 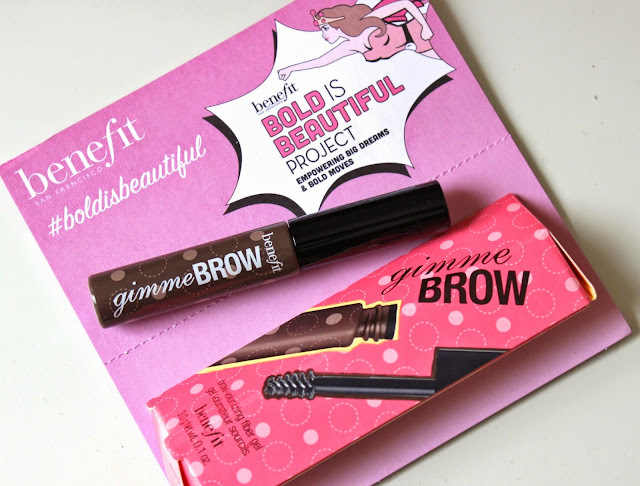 Pop along to your nearest brow bar for a Benefit brow-over, as well as supporting the charities, you'll also be rewarded with an amazing freebie - a full size Gimme Brow worth £18.50 (see my review here). So, I womaned up and went along for my brow wax at my local Boots. 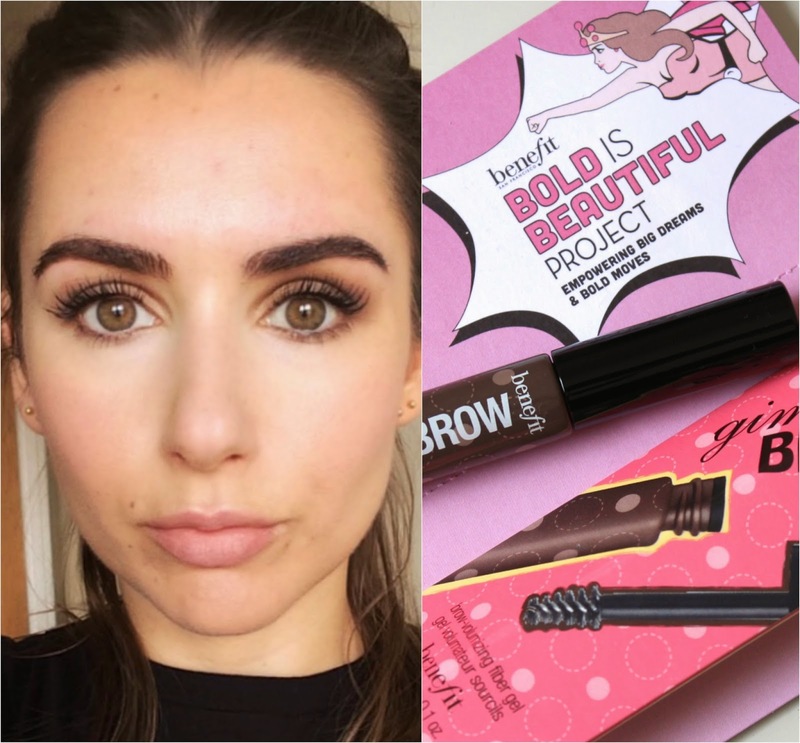 Not to over dramatise things but I'd had a negative experience with a Benefit's Brow Bar in the past (I was scalped, it wasn't pretty) and was slightly nervous letting them loose on my arches again. But they did a brilliant job - I'm so happy with the results. I told the girl I didn't want to lose much of the thickness, I just needed some help with the shape. She waxed away the wild stragglers - I wasn't joking about the tweezer ban, and set about putting in some shape. She took my arches higher, adding a slight point and trimmed the bushy bulbous. I have really thick, course hairs with massive roots so I get pretty red and sore afterwards. Last time around I also got some nasty pimples so I decided to forgoe concealer and just have a little aloe vera gel. It meant I had to walk home with a very red face but it did the job and my skin's healed quickly. It's amazing the effect brows have on the face. This re-shaped has been like a mini face lift for me - I'm so pleased I took advantage of the Bold is Beautiful campaign - who knew your arches could support women and children! #BoldIsBeautiful Have you been for yours? Serious brow goals right now! 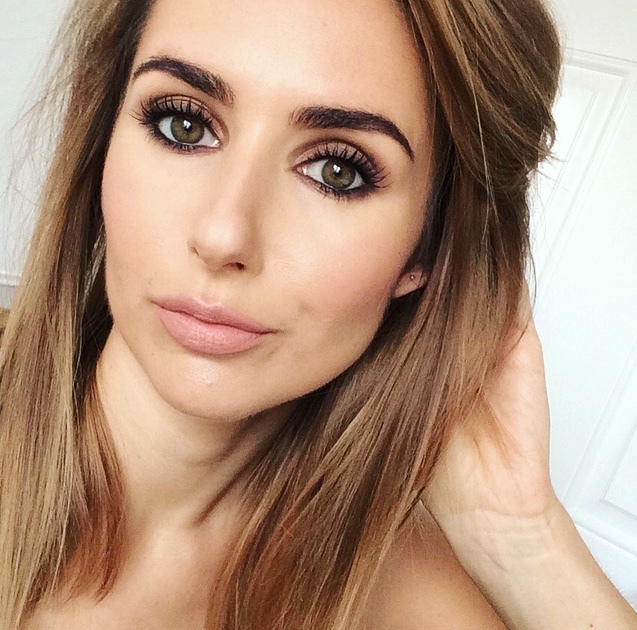 Claire, your lashes are stunning in the photo above (as are your brows! )...do you recall what mascara you used?